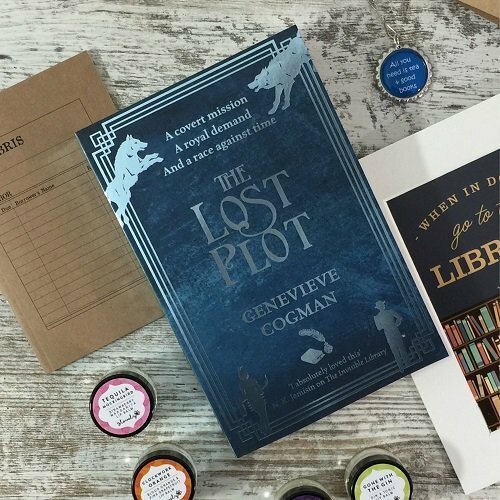 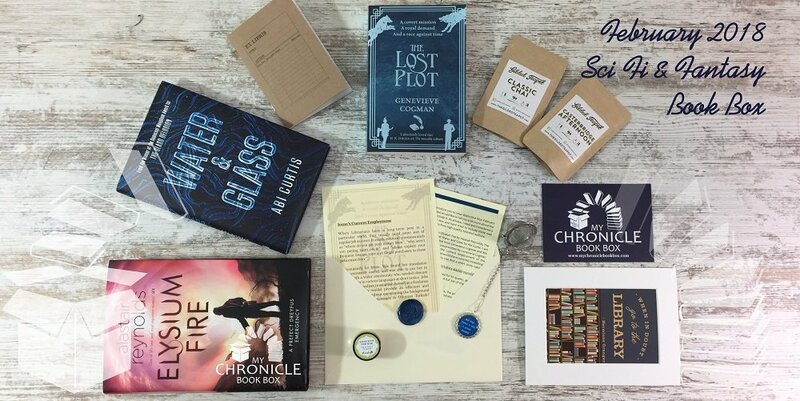 The Lost Plot by Genevieve Cogman with a signed bookplate and special piece written exclusively for us. 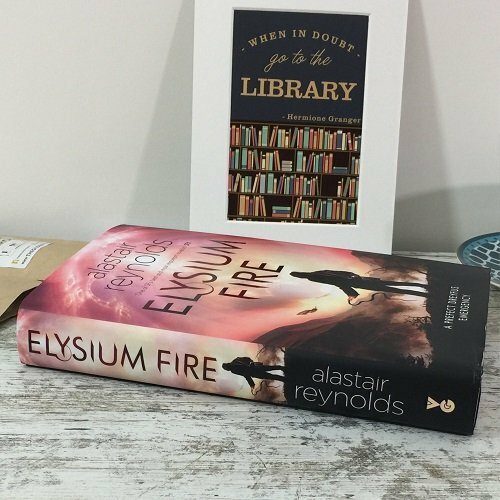 Elysium Fire by Alastair Reynolds. 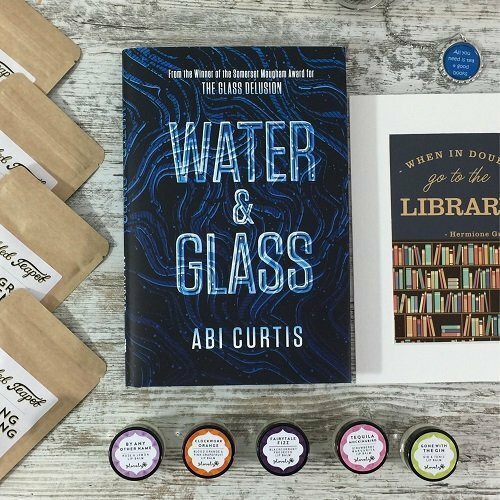 Water & Glass by Abi Curtis along with a signed bookplate. 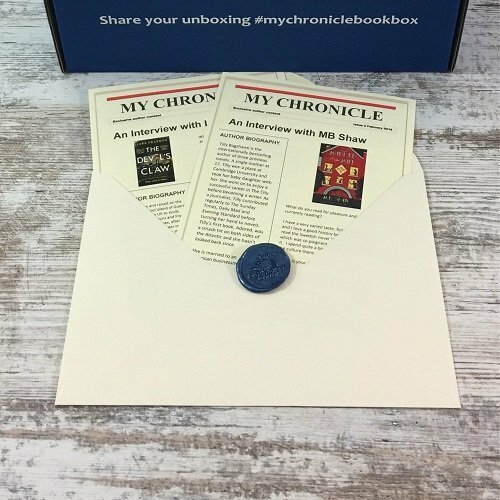 Exclusive author content, including signatures from Abi Curtis and Genevieve Cogman and a special piece of writing by Genevieve Cogman. 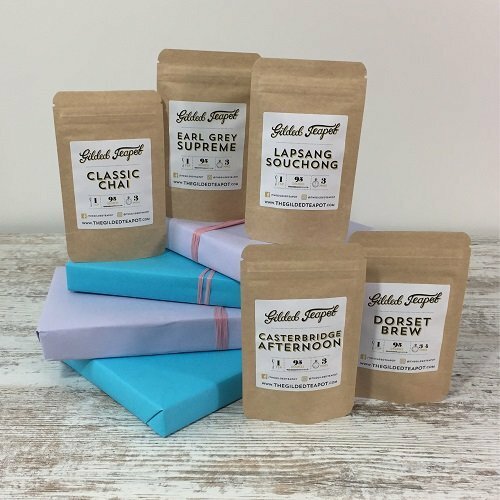 Two taster packets of loose leaf tea from The Gilded Teapot. 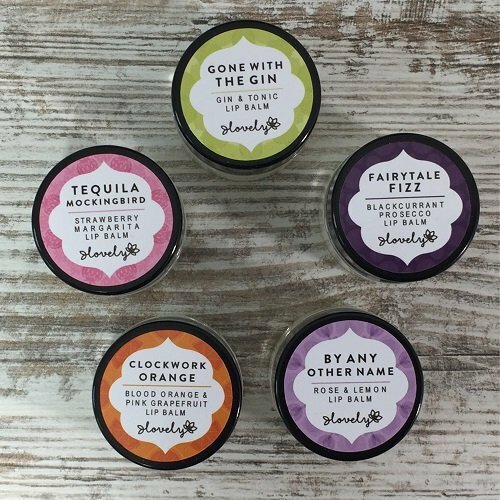 A luscious lip balm by Lovely Cosmetics named with literary puns exclusively for My Chronicle Book Box. 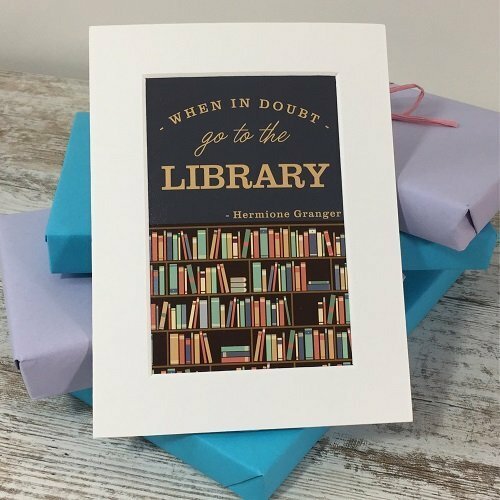 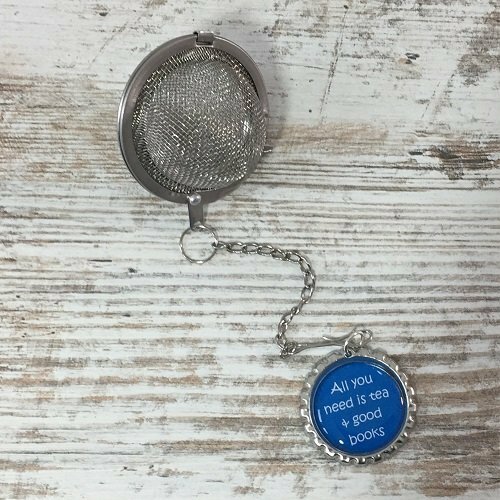 An Hermione Granger library quote print by Boka Print. 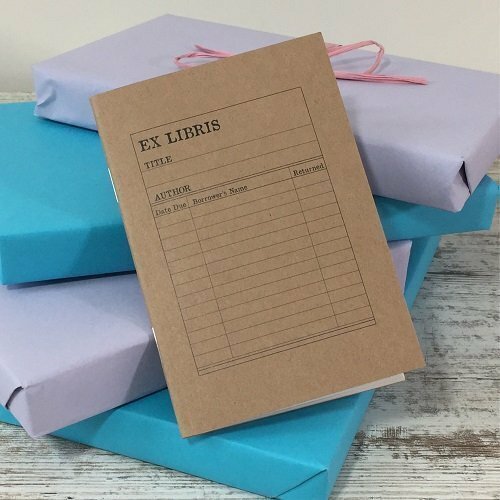 A library card note book by WhirlingWorld ideal for recording your 2018 reading list!